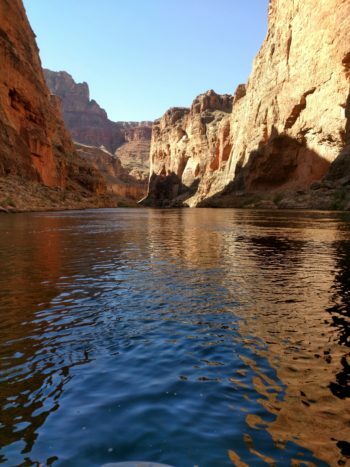 Our Colorado River adventure was simply a WOW! The guides were so helpful and reassuring. Fun was a top concern of theirs, but so was safety. This rafting trip allows you to experience something very few people have the opportunity to see or enjoy. Wonderful beauty and as much adrenaline as you want to take on (or as little if you choose the safety of the cushioned back-end of the boat). 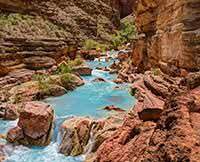 The whitewater was exhilarating, the Grand Canyon was breathtaking, and the side hikes were full of surprises, fun, and beauty. The guides were both knowledgeable about the history of the canyon, helpful on the side canyon hikes, and overall just cool. The food was fantastic - the guides did a fantastic job of doubling as chefs. The stars were a bit overwhelming (as long as you don't mind missing out on some sleep to stare up at the sky). I'd rate this trip as a must do if you have a bucket list that includes enjoying natural wonders of the world. We had super high expectations and this 6-day trip did NOT disappoint!